Canikur Pro Paste for dogs is a highly palatable formula which contains pro-biotics and pre-biotics which help to support the natural balance of the intestines in all dog breeds. 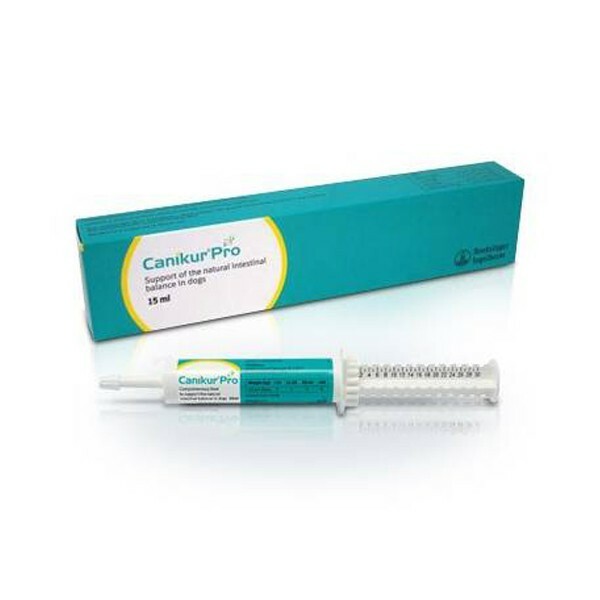 Canikur can be given by itself or along with prescribed medication from your veterinary surgeon. Free access to water is important at the same time.